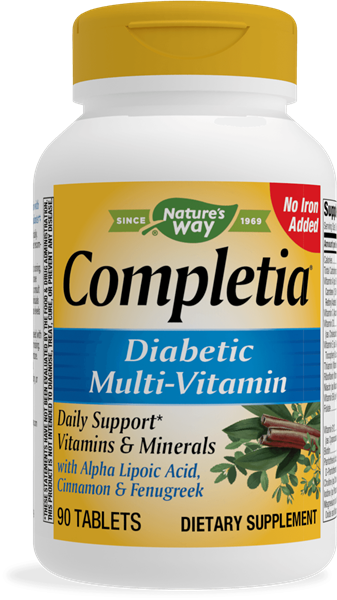 Completia Diabetic (iron-free) / 90 Tabs - Nature's Way®. Do not use this product if pregnant, nursing, or attempting to become pregnant. If you have diabetes, or are taking any medications, consult a healthcare professional before use. People with diabetes should monitor blood glucose levels regularly.